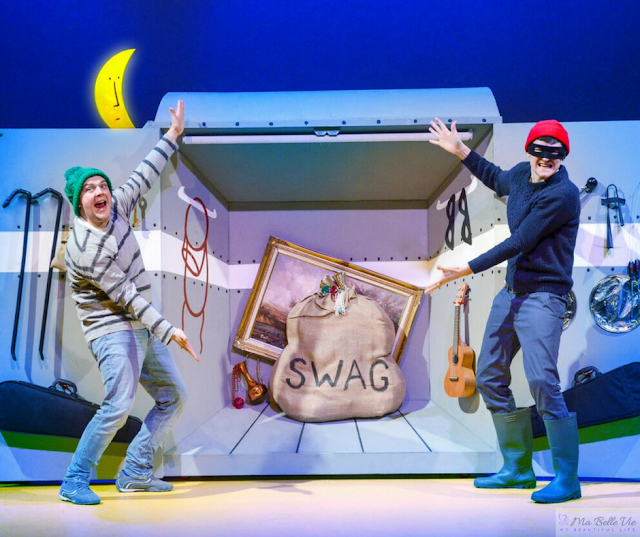 It can be a daunting experience, introducing young children to the theatre for the first time. Will they enjoy it? Will they get bored? Will they sit still? 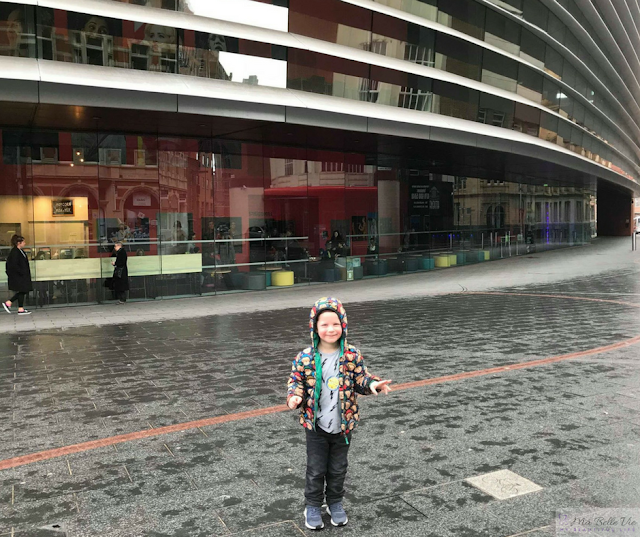 I recently took my three-year-old to the theatre for the first time. I'll be honest, I was a little nervous. I wasn't sure how he'd behave or if he'd sit still throughout the show. So after our first experience, I've put together my top five tips to help make your first trip to the theatre with young children run smoothly! Go for something age-appropriate. Don't be too ambitious! Something fun, colourful and full of catchy music is perfect for keeping young children's attention. 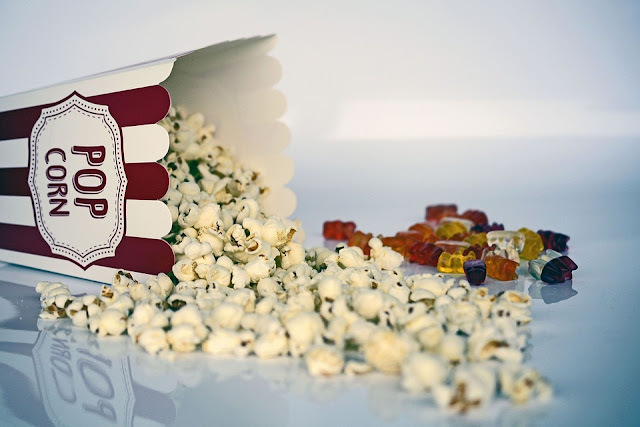 Choose something that isn't too long, or something with a well-timed break to stop them getting restless. 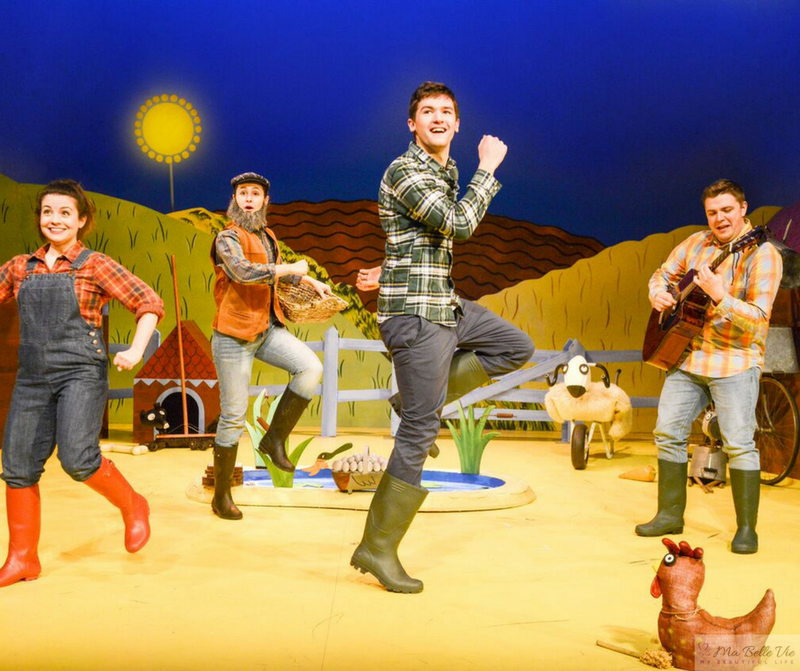 We went to see 'What The Ladybird Heard'; a stage adaptation of Julia Donaldson & Lydia Monk's farmyard fun tale. 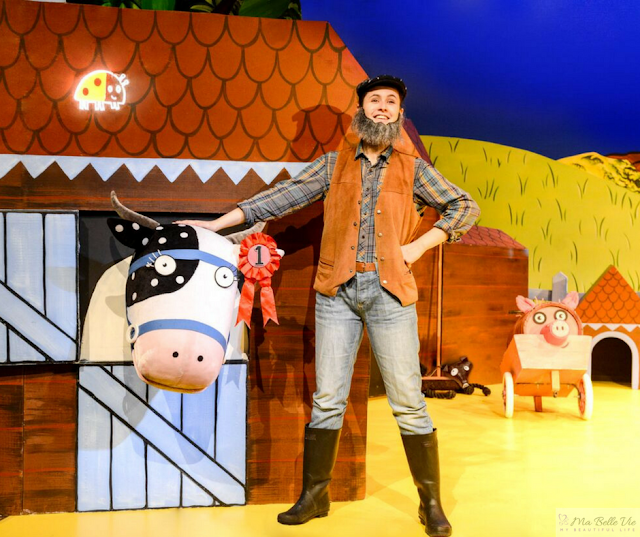 The story follows two crafty robbers Hefty Hugh and Lanky Len on their cunning plan to steal the farmer's fine prize cow. But the tiny little ladybird saves the day! The story really came alive on the stage, with the bright and colourful backdrops which looked as though they were taken straight from the book itself. The show captured Taylor's attention straight away with it's fun, easy to follow songs, the audience participation and we loved how they created the farmyard animals using everyday items found around the farm, yet perfectly captured the illustrations from the book. He loved shouting out when he spotted the ladybird and was soon singing along to the repetitive rhymes. 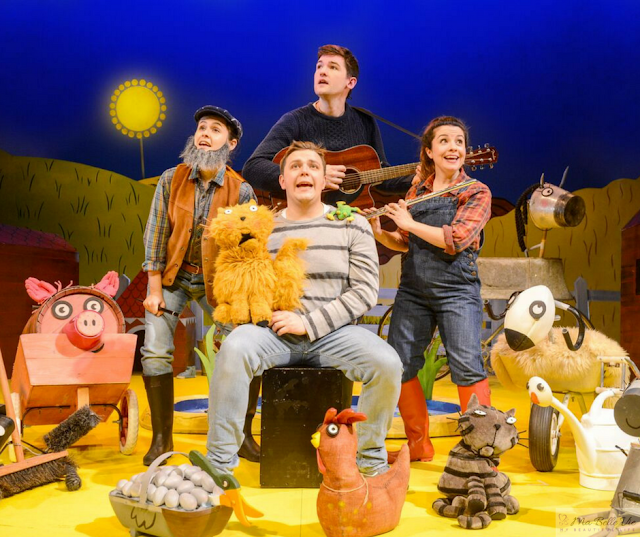 At an hour long, with the perfect mixture of singing, dancing, puppetry, storytelling and humour, it was a fantastic choice for a toddler's first theatre visit. It's a good idea to chat to them about the upcoming visit, so they know what to expect. Look at pictures online together, read the book if based on a children's story and maybe chat about the characters they might see. Also talk about what is expected of them. Talk about where they'll be sitting, explain that they have to sit nicely, speak quietly and use their listening ears. Of course, children can be noisy, and if you're at a child-centred show, it's likely that other children will be doing the same. But it's never too early to teach them a little theatre etiquette. A new experience is always exciting, but some young children can often be a bit wary of new places. I made a huge deal out of Taylor's first visit to the theatre. We were going on an adventure!! First we had to find the theatre. Curve is situated in the heart of Leicester's Cultural Quarter. We had to follow the winding 'magic line' as Taylor nicknamed it through the Cultural Quarter which led us to the theatre. He LOVED this! We then had a look around the theatre; which is a beautiful building! If your child is anything like mine, they'll get hungry, or thirsty after the first 10 minutes! Making sure you have something to drink, and a few healthy snacks in case they get peckish. Or treat them to something yummy from the cafe! 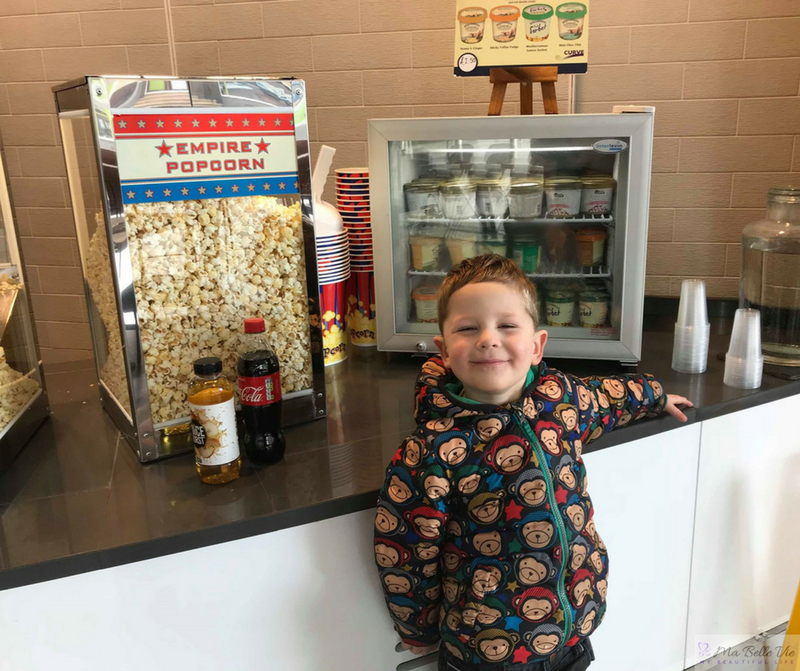 The apple juice and popcorn definitely kept this one occupied during the show! Finally, and probably most importantly, enjoy it!! After the whole, 'Ooh front row balcony seats, I hope he doesn't attempt to climb this barrier...' 'Is he going to mess about on this bumper seat the whole way through?' and 'A whole hour without a break, can he manage that? Is he gonna need a wee halfway through?' moments, I sat back and I enjoyed it. 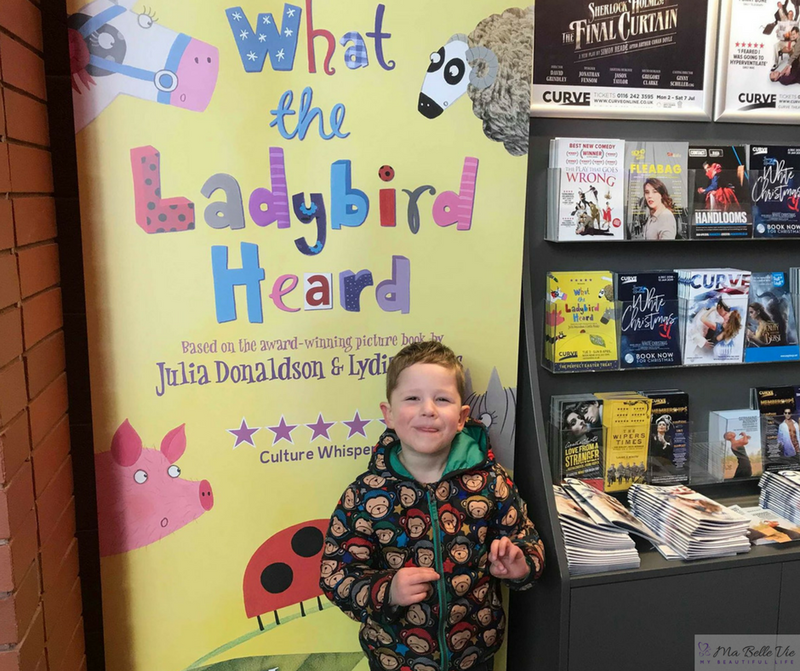 'What the Ladybird Heard' is a glittering treat for all the family and on at a theatre near you until the end of August 2018. Book tickets here. 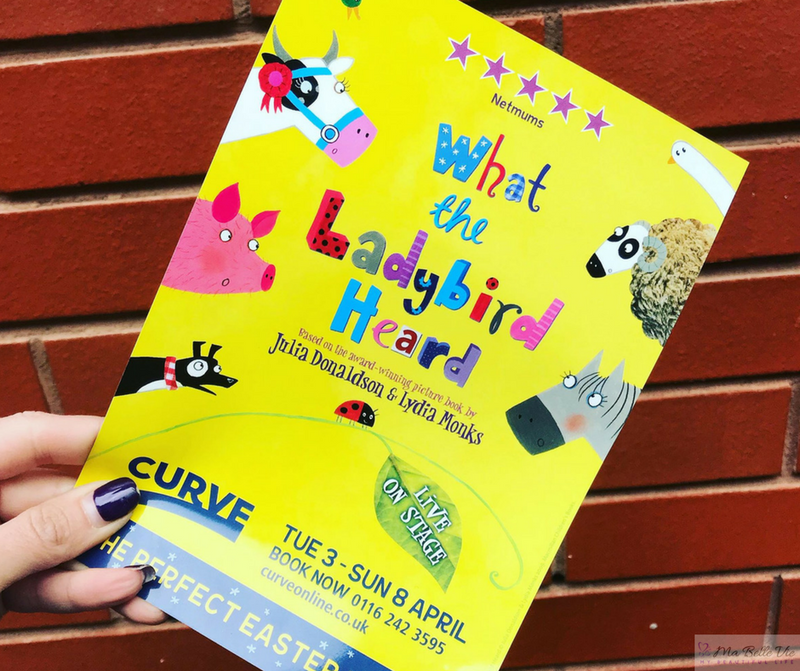 And if you're local to Leicester, check out future family fun shows at the Curve. 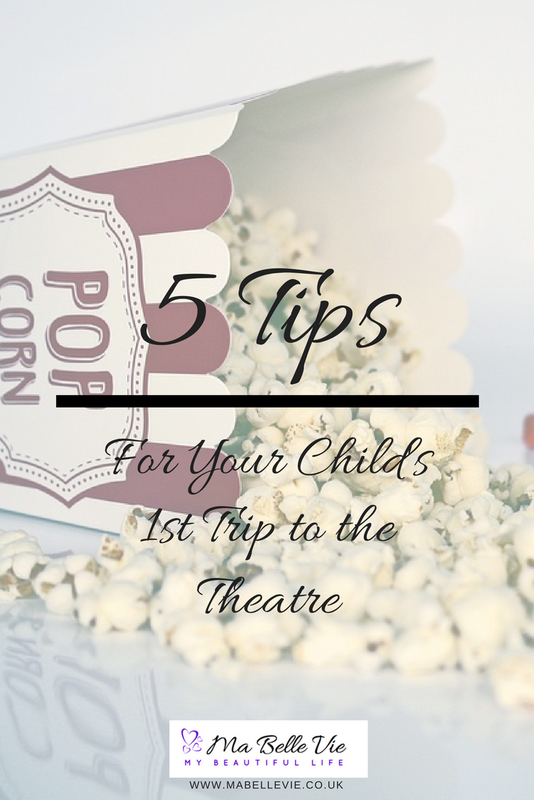 These sound like some great tips I have to admit I have always loved the theatre! 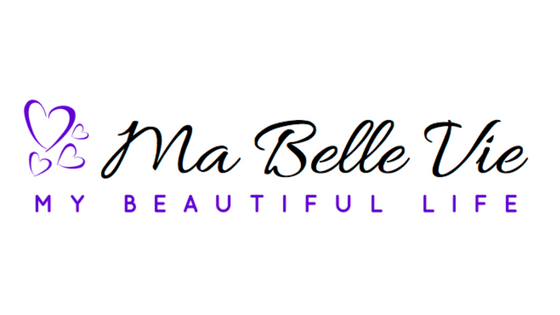 It is such a wonderful experience. Me too, it's a fantastic experience. That's fantastic! Definitely look out for Ladybird Live!! Our first foray into a theatre production was the panto and as soon as we saw that they sit there engrossed we knew that we had some little theatre lovers! Need to take them more now that I think about it. 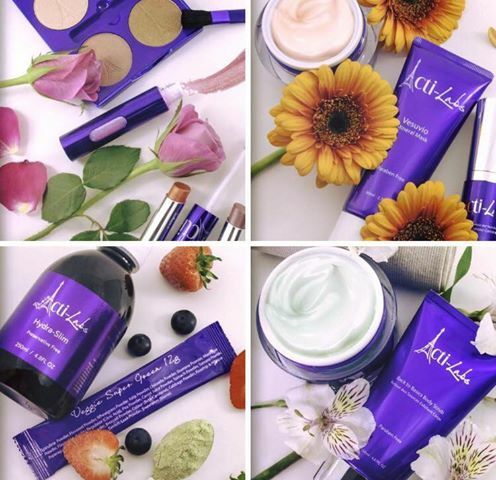 This is such a wonderful post! I wish I read this when my kids were young. All the items you mentioned actually worked for us, from preparing them about what to expect to having enough snacks and drinks. 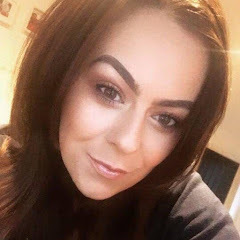 Oh I love the theatre and I encourage children to go see as many shows as possible. I like the idea of preparing them in advance!